Lech Kaczynski’s plane left Poland 1 hour later than schedule, reported Gazeta Wyborcza on Friday, referring to a statement by Krzysztof Zaleski, who is temporarily in charge of the Polish Air Force. Kaczynski’s Tu-154 was supposed to leave for Katyn at 6:30 local time, but in fact it took off almost at 7:30. The “extra” hour was needed for the plane so it could make a few extra loops above the landing runway in case of poor weather conditions, or go to a different airport in Minsk or Vitebsk. Zaleski mentioned that on April 10 a Jak-40 plane with journalists left Warsaw at 5:00 and successfully landed in Smolensk region, and if the Tu-154 had started on time, it would have arrived soon after the media jet. But right after the Jak-40 landed, the weather started to worsen. 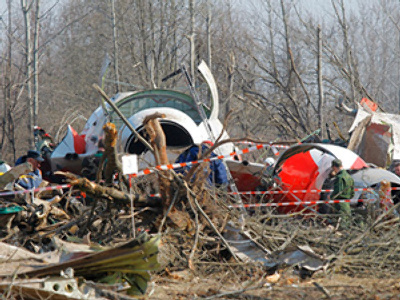 During the weeks of investigation since the deadly plane crash on April 10, the Polish Prosecutor General’s Office has examined four versions of the tragedy. Earlier, bad weather conditions and pilots’ mistake were considered possible causes of the plane crash. The media’s version of the tragedy was that pressure was put by high-ranking passengers on the pilots – hurrying to the official event in Katyn, they forbade the crew from going to a different airport despite the dispatchers’ recommendations. “Nothing from the data gathered to date proves that pressure was put on the crew, but it’s too early to exclude this version at the current stage of investigation,” states the Prosecutor General’s communiqué. A Russian team made two expert examinations which found that there were no explosives onboard and that the guns belonging to the Polish delegation were not used, the documents states. On Wednesday, Polish Prime Minister Donald Tusk claimed that there are grounds for believing that the presidential Tu-154 crashed not at 8:56 (Moscow time), as was thought before, but 15 minutes earlier. On Thursday, Russian Prime Minister Vladimir Putin discussed with his Polish counterpart the investigation of the deadly plane crash near Smolensk. Putin and Tusk discussed the course of the investigation, and the causes and circumstances of the Tu-154 catastrophe, and expressed their satisfaction with the level of cooperation between Russian and Polish services, Russia’s government press service announced. On Wednesday, the Interstate Aviation Committee began the final stage of voice identification of Kaczynski’s plane crew. “After Polish specialists taking part in listening to the voice information of the fight recorders and ground objective control facilities came back to Moscow on April 26, the MAC Technical Commission came to the final step of voice identification of the cockpit crew and documentation of the talks,” said a MAC spokesperson. 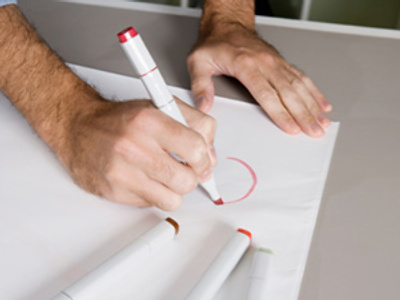 All works are carried out in close cooperation with Polish specialists. Currently two investigations are underway, Polish and Russian. 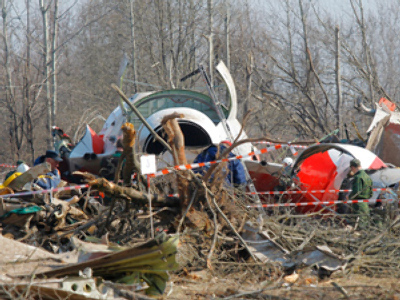 The Tu-154 plane crashed near Smolensk, Russia, on April 10, claiming the lives of 96 high-ranking Polish officials, including the country’s president, Lech Kaczynski. All dead were identified, their bodies transported to Poland and buried. 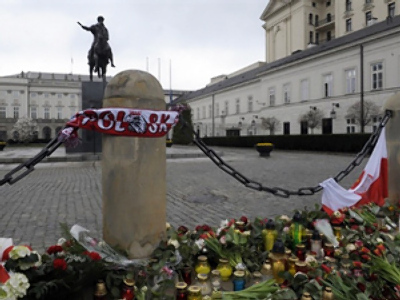 The plane was going to Katyn for an official ceremony for the Polish officers who perished there in 1940.